Ghosts as the trace of a human soul make something invisible visible by appearing. 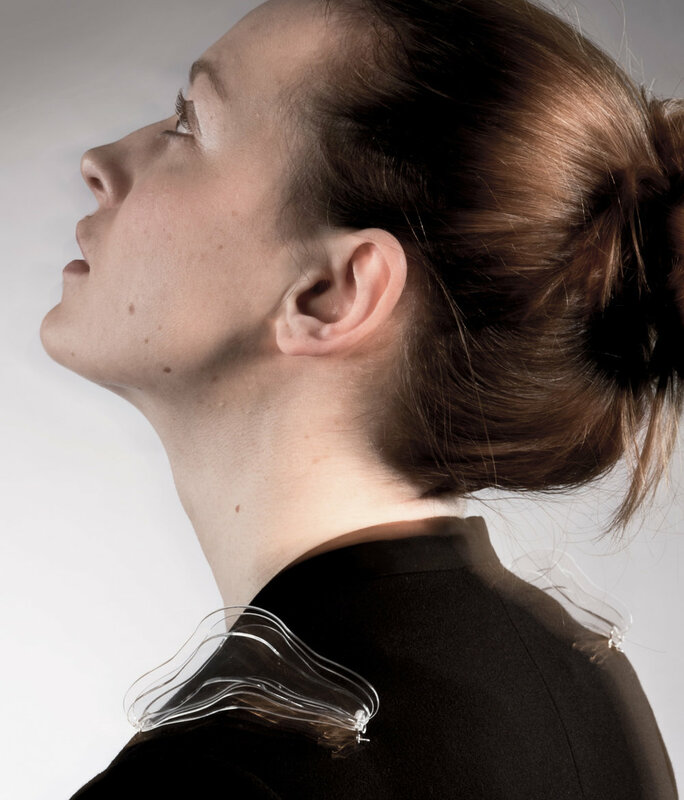 With the title ghost Rebecca Wolf hints at the visibility and invisibility of the transparent material. The translucent material is visible where the light does not go through it but is refracted or reflected. At the edges or on the surfaces. 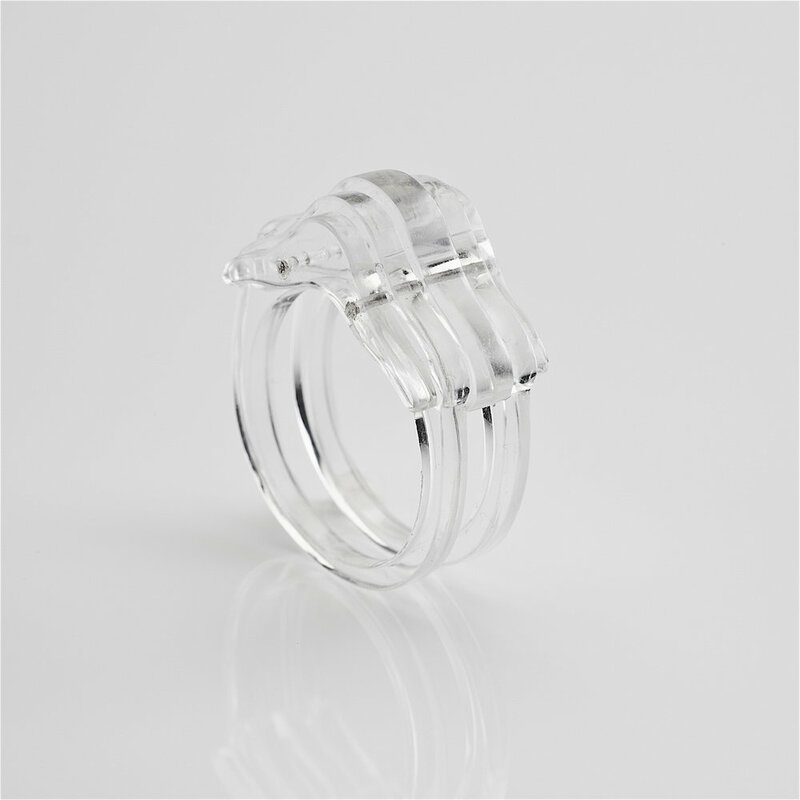 The jewellery by Rebecca Wolf is made of transparent acrylic glass that is stacked and riveted with sterling silver. The shape that the layers consist of is abstracted from the collar bone and is used for every piece of jewellery. At the different body parts the shape shows the essence of each jewellery piece and how it works on the body. The arrangement of the layers in each piece creates the illusion of a blurred image. Just as if the jewellery was frozen in a visible moment. The transition from graduate work to actually reproducable pieces that can be solid products took some time and space. The fascination with transperent jewellery is still there but with a lighter context. More pieces to come.